Marking a subtle advent into the peaceful village of Sanasar, located in the Jammu province, is an exotic experience. For starters, it has its own unique history, richly blended with fine variety of adventure activities. Slowly being recognised as a promising hill station in India, it is located 17 km away from Patnitop. Thus, Sanasar Tourism is exploring the untouched, pristine magic of two rustic villages. Also known for being a picturesque cup-shaped meadow, the surrounding dense coniferous forests, further add to its charming beauty. Its remote location further enhances its appeal. History of Sanasar reveals that its name was derived from the names of two lakes ‘Sana’ and ‘Sar’. 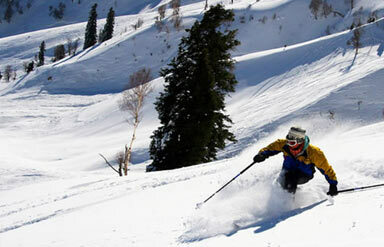 Quite popularly, it is also called as ‘Mini Gulmarg’. It has also developed as an ideal destination for leisure travel. Over the years, it has developed its potential for adventure tourism, especially with the growth in activities like camping, golfing, trekking and paragliding. It endows a spectacular chance to pamper oneself with a rural Indian holiday, far away from the boisterous crowd. Mountainous terrains, majestic coniferous trees, cool breeze and extensive meadows speckled with yellow flowers—words still can’t describe what indelible memories Sanasar can leave, for years to come. Perched on the top of Shank Pal Ridge, the 400-year-old temple is dedicated to the presiding deity of Nag Shank Pal. A five-hour-long trek is involved in reaching the sacred temple. Quite interestingly, mortar wasn’t used for the construction of this temple, adding to its beauty. Gold Course: Interestingly, golfing is one of the main tourist attractions in Kashmir. Thus, adding to its beauty, it endows a beautiful opportunity for refreshing and relaxing golf courses. The golf courses are shut down during winter months. Embark for Sanasar Tourism to experience the best of sport activities like jet-skiing, extreme-skiing, cliff-climbing and snorkeling. The other exciting adventures include bungee jumping, sky-diving, paragliding and car racing. Over the past few decades, this has developed as the new craze. The Jammu and Kashmir Tourism department has played a pivotal role in developing Sanasar Travel as a hub for hot-air ballooning experiments in the state. Free style ‘tandem hand-gliding’ is famous tourist attraction in Sanasar. 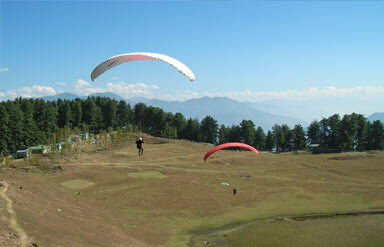 Gliders from the Jammu and Kashmir Tourism Department (J&KTD) are available with trainers having years of experience. Depending on the wind direction and speed, gliding can last from 20 minutes to an hour. Having breathtakingly beautiful views of the Sanasar Valley add to adrenaline gushing event. Undoubtedly, the best time to visit Sanasar is in between May to June as well as in September and October. 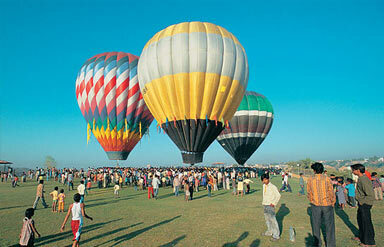 Popular adventure activities like trekking, horse-riding and para-gliding are usually arranged during this time frame. Try to avoid indulging in Sanasar Travel during winters as the temperature falls down rapidly. Air: The Jammu airport is located 132 km away. One can then easily take a cab, taxi or state bus to reach Sanasar. Rail: The nearest railhead is at Jammu Tawi, located 130 km way. Road: It is located 17 km away from Patnitop, falling on the National Highway 1A. 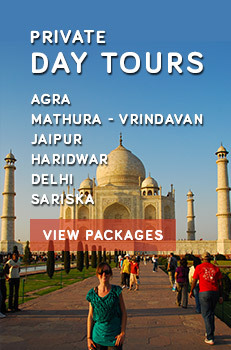 So, pamper yourself with a rustic, rural holiday in one of the remotest parts of India with Sanasar Tour. Get going.